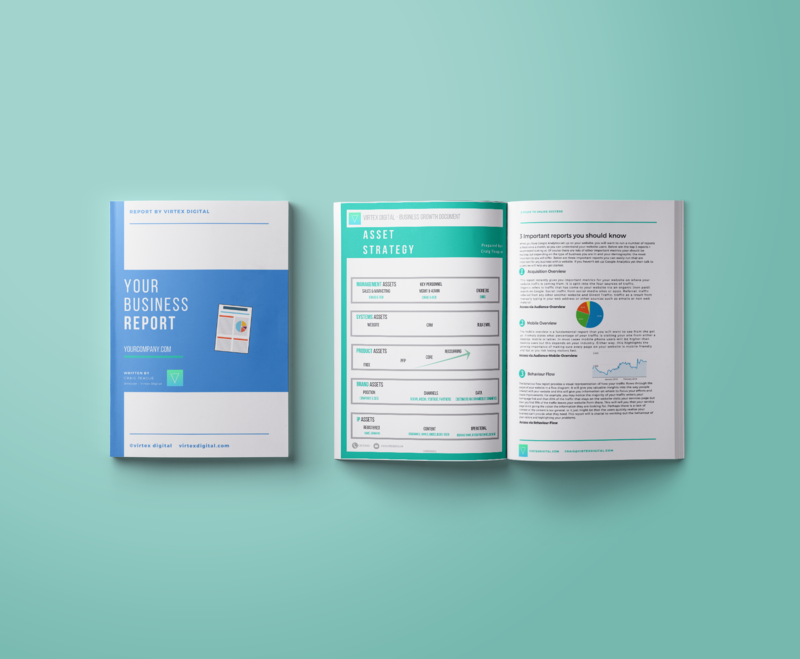 A highly valuable, insightful and easy to understand report tailored to your business. We use a range of cutting edge tools to analyse your complete online footprint and delve into your website statistics (when available) so we can give you our expert opinion and recommendations. We also research your competitors, your search engine position, your content and social media output. We not only outline issues that need resolving and give you recommendations we also go one step further by offering ideas for developing digital assets and creating powerful campaigns. 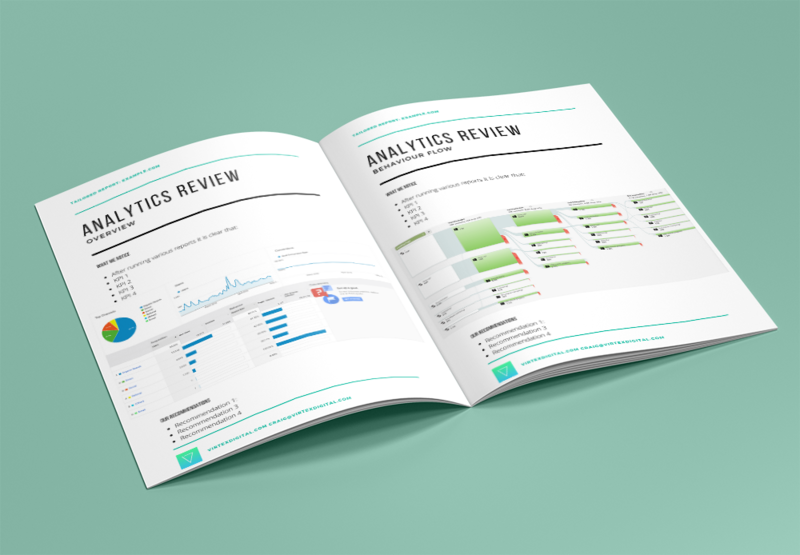 We aim to send you your PDF report to you within 5 days. Whats included in your report? Upon purchasing a report you will be directed to an online form where we ask you a set of questions that enable us to understand your business and produce a tailored report containing the following sections. We provide you with several reports that measure the speed, responsiveness, and performance of your website. If you have website statistics set up then we expertly analyse your data and highlight key performance indicators that give you important insights to your customer behaviour and user experience. We look at the keywords and phrases of your products and services to look at your current ranking positions and those of your main competitors. 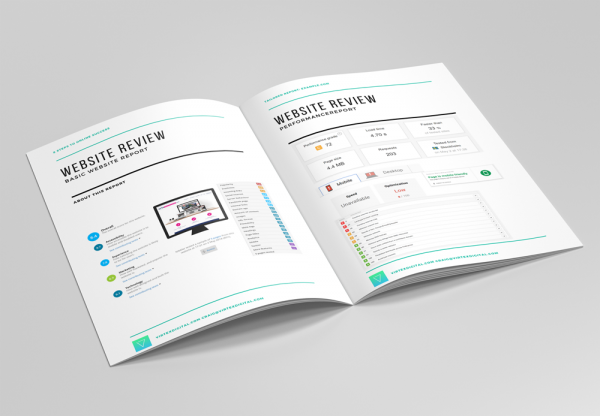 The website review section will highlight the technical areas of your site that affect your search engine ranking. Your online impact and reputation is crucial these days you are who Google say you are therefore we look at your online profile and make recommendations on how to improve. We look at your social media channels and if available look at any reports available. We look at how your profiles are set up and presented as well as the content you produce. Digital assets are anything that you can produce in digital format that benefits your business. Your website is an asset, a product is an asset and a download or guide is an asset. In today’s digital economy businesses that produce high quality assets are far more successful online than those that don’t. 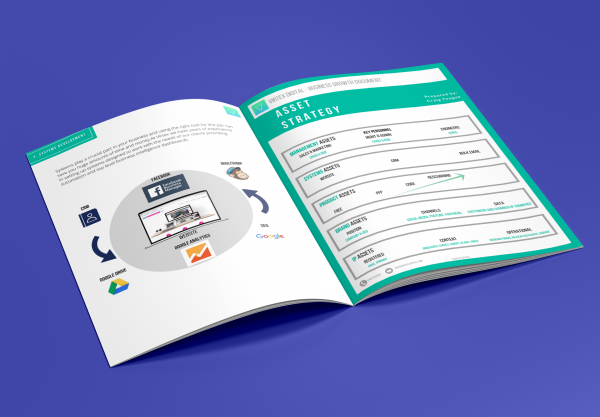 We give you a framework with ideas and examples on how your business can start to produce high quality digital assets and how they will benefit your business. Systems and technology are also crucial in any business today. The boom of low cost automated and powerful software means businesses can make huge financial savings, improve efficiency and enhance customer experience. We look at what systems you already have in place and make recommendations of software that may benefit you. Rather than selling to customers one by one and relying on referral business we encourage our clients to run a series of campaigns throughout the year with specific goals. This builds momentum, creates a buzz and provides a steady stream of leads into your sales funnel. We will give you examples and ideas tailored to your business and industry. We summarise your report and give you a list of priorities that will make a big difference to your online efforts and give you a road map for you to implement these changes. Due to the time consuming nature of this service we limited the amount we produce each month to just 10. If we are showing none in stock then please get in touch and we will add you to a waiting list, apologies for any inconvenience.